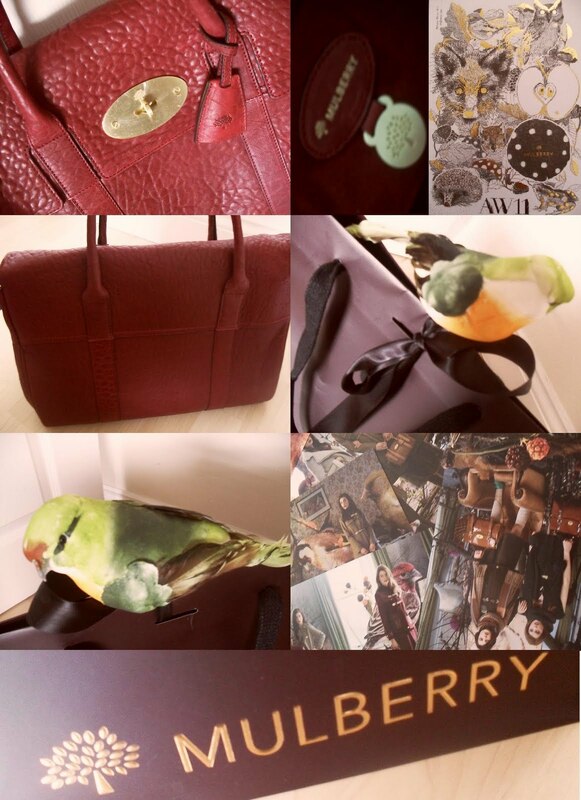 as promised i said i would post about my mulberry bag once i got the chance to take some photos. i originally mentioned it in this post and was very excited once i clicked the ‘order’ button. don’t get my wrong on this blog, i’m far from some rich kid who just orders designer bags, i class them as investments. hopefully something i’ll keep forever if i take proper care of them and count myself very lucky to get the chance to own them. anyways, i’ve never seen something so beautifully packages. it came with an adorable silk and feather bird with a black ribbon to hold the carrier bag together. i was genuinely more excited about this than opening it to see the item i had actually spent my money on! the bag itself is such amazing leather, ridiculously soft and the workmanship and care to detail is amazing. i’m scared to take the plastic coverings off the locks as i don’t want to damage them. inside is luxurious suede in the same colour as the outside. the photo’s make it look like it’s lighter than what it is, but the mulberry stock photos are more accurate, as it’s a wonderful rich plum colour. they sent me prints off all the autumn/winter collections and even adorable stickers! i positively love it, i just have to get over my fear of damaging it when i wear it and actually incorporate it into an outfit!